Aslam Khan earned his B.Sc (Hons.) 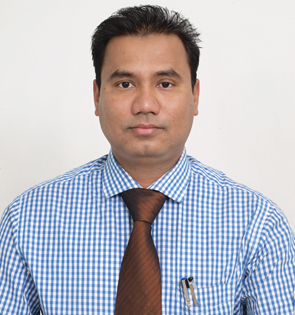 and M.Sc Chemistry from Aligarh Muslim University, India in 1998 and 2000 respectively, and his Ph.D. in Chemical Science (Materials Chemistry) from Hamdard University, New Delhi, India in 2003. Aslam has a background in colloids and interfaces science, with a specific interest on stimuli-responsive polymers. He is interested in the broad areas of nanoscale science and technology involving synthesis, reaction and organization of nanoscale materials and their application in problems related to chemistry and biology. In particular he involves with temperature/pH sensitive polymers, metal nanoparticles and in biomedicine, he lays stress on understanding the fundamental working principles of these novel materials. In 2004-2007, he was a Scientist at Centre for Nanotechnology, Indian Institute of Technology, Delhi and Guwahati where he began exploring thermoresponsive polymers as nanoscale materials for nanocarriers drug delivery system. He then moved to Pohang University of Science and Technology, South Korea (Nanophotonics and Nanomedicine group) in 2007-2008, where he was a Postdoctoral candidate. In 2008 mid, he joined King Abdullah Institute for Nanotechnology, King Saud University as an Assistant Professor. He authored and co-authored over 20 peer-reviewed articles. He is a reviewer and co-editor for many reputable journals.